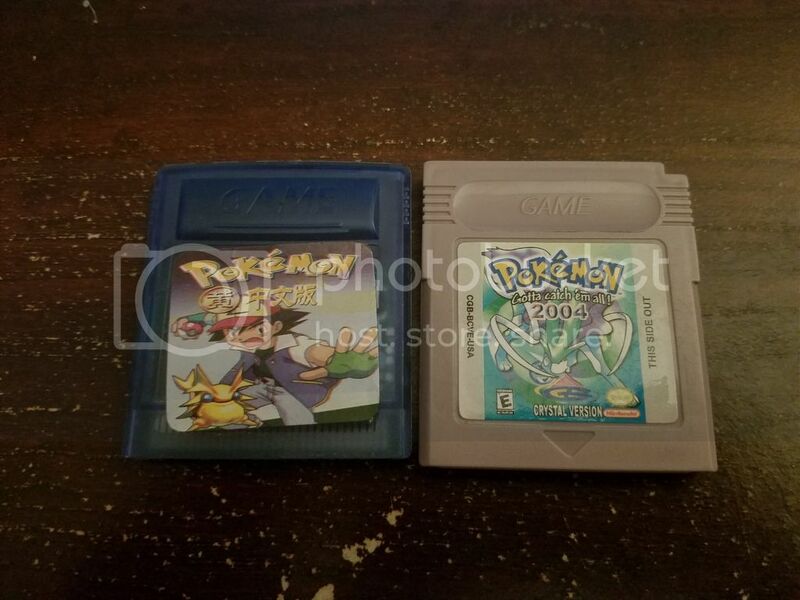 Hey all, I decided to join this forum to see if there was any info on these carts. I got both of them on ebay. The purple cart with the crooked label is a Chinese (?) 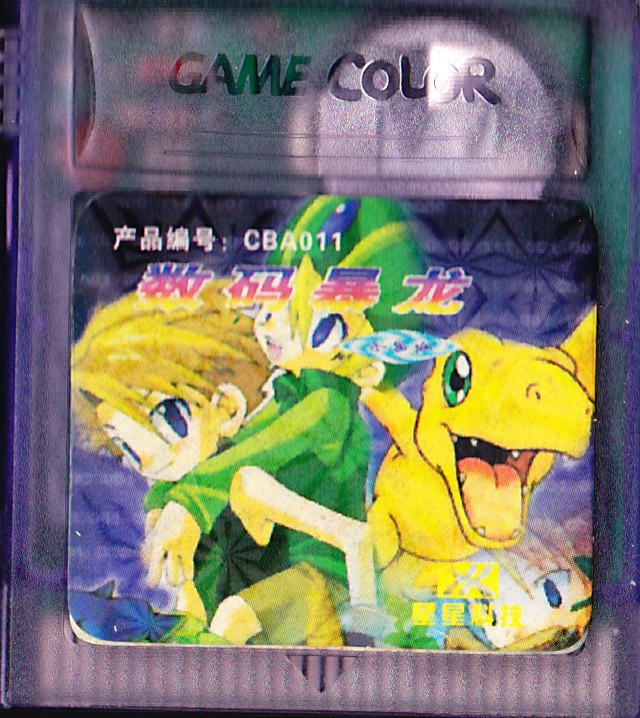 translation of Pokemon Yellow. It saves sometimes, but it's not reliable. 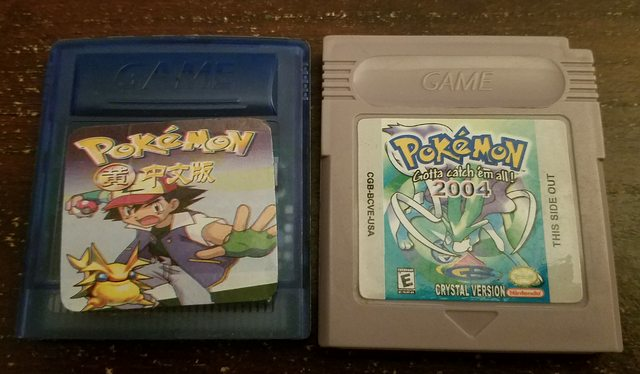 The grey cart is Pokemon Crystal, the normal English version. It appears to be the regular game, I haven't found any changes while playing it. It doesn't save at all, despite having a battery. If y'all have seen these before, or know who made them, let me know. Sorry about that, I'm not very accustomed to posting on forums. Anyway, here they are. Pretty darn generic. Yeah those look like generic bootlegs (esp. yellow; I've seen that kinda bootleg all over Taobao with that same cart mold and scaled down board.) 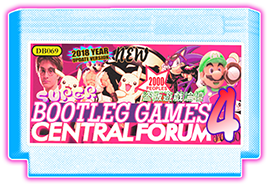 Not sure if there's anything notable about that Crystal bootleg like who could've published it.